Server racks come in many different sizes. Some are as short as a or more are in use, that translates into lots of extra equipment space. 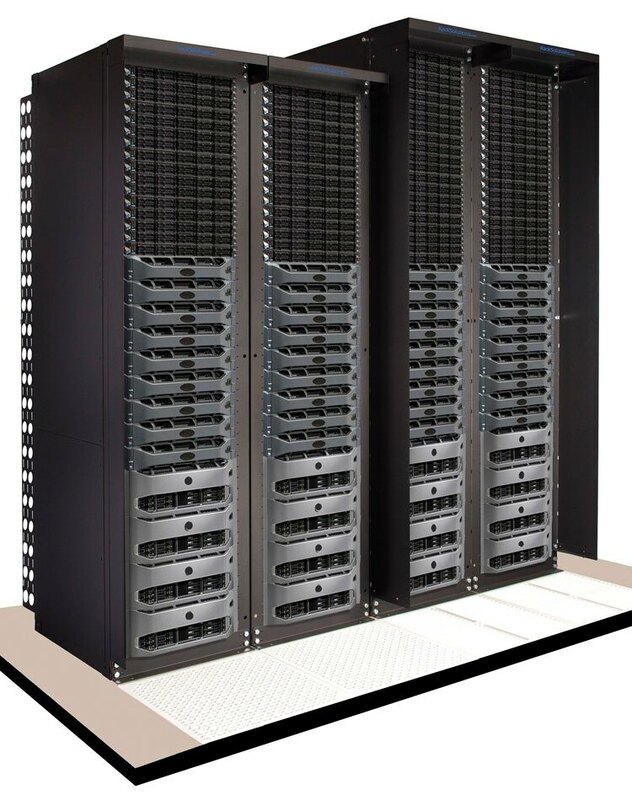 50U Open Frame Racks may be bayed together with two, 55U Racks, for example. 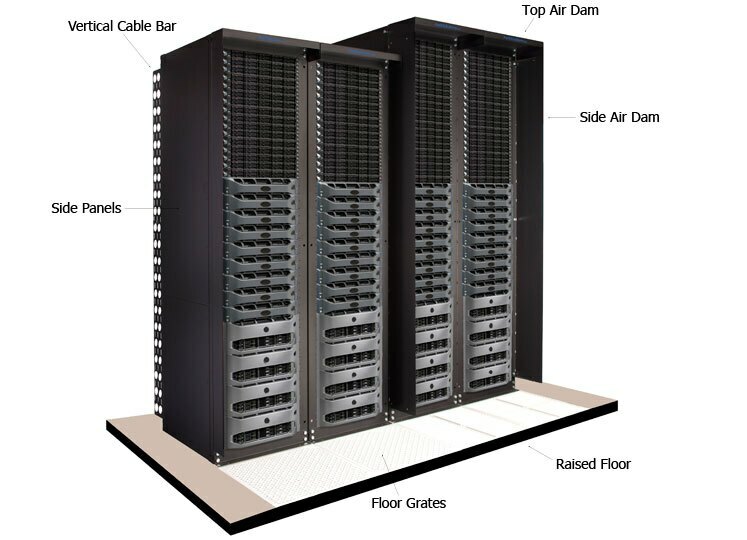 All four server racks may be equipped with top Air dams, and the rack on each end also may have a side Air Dam installed. Air Dams act like an eave on top of the rack, sticking out 5″ – 10″. The side dams also protrude out 5″ – 10″. Air Dams are used in tandem with floor grates to improve air containment. These racks may also have optional, side panels for enclosing the two ends of the bay of racks. The front of a server rack loaded with equipment looks cool, but the back of the rack is where things can get a little hairy, and organization is key to keeping your sanity. That’s why it’s important that a rack have vertical cable bar options, a place to mount vertical PDUs and in some cases. See Open Frame, 55U Racks for sale. This entry was posted on Tuesday, July 5th, 2011 at 11:46 am	and is filed under 4 Post Racks, Popular, Racks. You can follow any responses to this entry through the RSS 2.0 feed. You can leave a response, or trackback from your own site.